Holidays are precious, and we understand that whenever you fly to the USA, you want to make the absolute most of your trip. Our multi-centre breaks, which give you the chance to visit two or more destinations in a single trip, are the perfect way to do this - and we have loads of great combinations to suggest, such as Chicago and New York. The USA is home to some of the world's most incredible cities, and it's always really interesting to see their similarities and differences. Of course, there's no better way to compare two places than by visiting them one after the other, when what they have in common - and what they don't - really stands out. When picking two cities to visit, it's great to select a pairing that has a good balance of similarities and contrasts, which is exactly what you'll find with a Chicago and New York two-centre holiday. Each city, for instance, has a reputation for its pizza, while they're both brilliant destinations for shopping and sightseeing. What exactly you can taste, see and do in each place is quite different, though, as we'll demonstrate now. And if you're interested in finding out about other great city break locations, or how you can extend a holiday to Chicago and New York to include other destinations, don't hesitate to contact us - we'd love to talk about your holiday ideas! 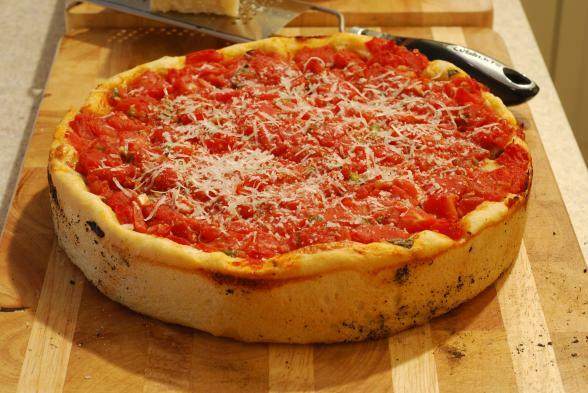 Try deep dish pizza: Chicago is famous for its distinctive pizza style, so you can't pass up the opportunity to try its delicious pies (as pizzas are often called in the USA). So what makes its pizzas different from any others you'll try? The key difference between your average pizza and Chicago's offering is that the crust on the latter can be up to three inches tall, so you get bags more filling than you would in an ordinary pizza. It really is more like a pie! Go shopping: Chicago is an amazing place for shopaholics, being home to a great mix of big-name brands and quirky stores. Make sure you head to Water Tower Place, which boasts just such a combination. 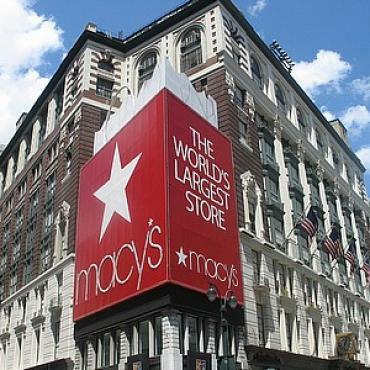 Here, you'll find everything from Macy's to independent stores, as well as tempting restaurants and relaxing spas. Another good place to head to is the Oakbrook Center , which is home to a number of major department stores and has a reputation for being one of the most fashionable places in the city. Enjoy the view from on high: Standing high above the city streets and looking down at a scene of ant-sized people scuttling along the street, and tiny toy cars speeding along a ribbon-sized stretch of road, is always a thrill. 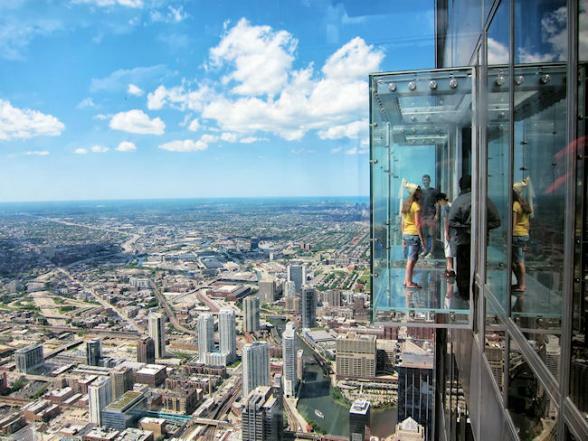 In Chicago, the ultimate place to go for this experience is Skydeck, the Observation Deck of the Willis Tower (formerly the Sears Tower). 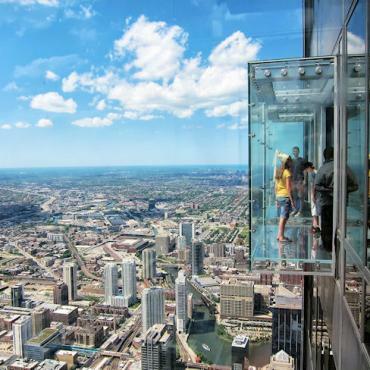 You can really take enjoying the view to another level here, thanks to the Ledge, a series of glass boxes that jut out 4.3 ft from the edge of the skyscraper, giving you the chance to stand directly above the city streets - 1,353 ft above them, that is! Go to a festival: Chicago hosts some amazing festivals, particularly from May to September. So, if you're travelling during this period, make sure you check out what's on. We love "A Taste of Chicago", which is foodie heaven, with ten days of cooking demos, samples and much more. Music fans, meanwhile, should check out "Lollapalooza" and Chicago's "Jazz Fest". 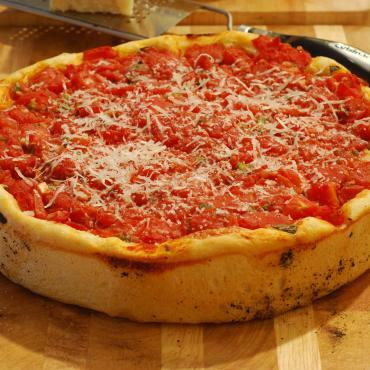 Tuck into New York-style pizza: Chicago isn't the only city with its own distinctive pizza style. So, once you've tried deep dish in the Windy City, tuck into a skinnier slice in the Big Apple and see which you prefer. New York-style pizzas are often sold by the slice (though you can buy them whole too) and are very cheesy, being covered in a thick layer of mozzarella, while the crust is thin and crisp. Hit the shops: New York is one of the world's shopping meccas, and some stores are big enough and famous enough to be classed as tourist attractions in their own right. 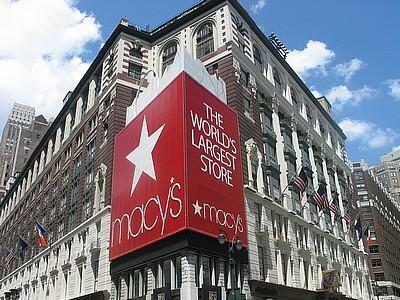 Macy's Herald Square is the prime example, and is so vast that you could easily spend a whole day here! If you're a real shopaholic, bear in mind that there are plenty of exciting independent stores in NYC too - our experts can point you to them. See the city from above: Of course, New York is home to some of the USA's most famous skyscrapers. These are not only amazing to gaze up at, but also to look down from. The observation decks of the Empire State Building probably give the city's most famous bird's-eye view, but the 360-degree vistas from Top of the Rock at the Rockefeller Center are just as impressive. 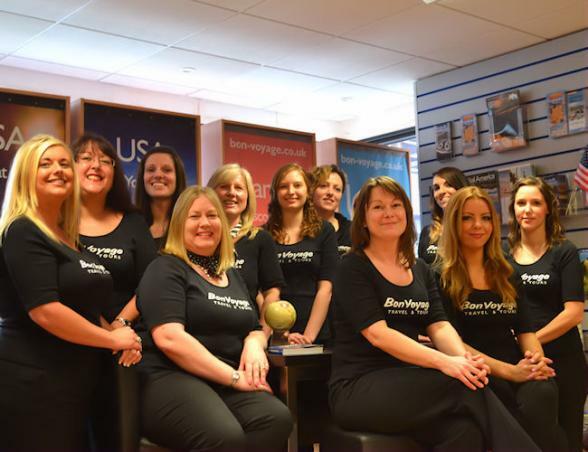 With 30 years' experience organising unforgettable holidays to the USA, Bon Voyage can help you plan the holiday of a lifetime. So why not contact us today and start planning your trip to Chicago and New York? 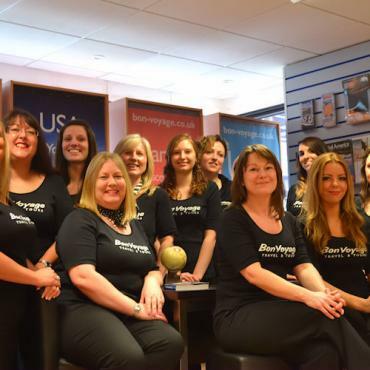 You can call us free on 0800 316 3012, or request a quote to get an idea of prices. In 1885, the first steel-framed high-rise building rose in Chicago ushering in the skyscraper era. Today, Chicago's skyline is among the worlds tallest. 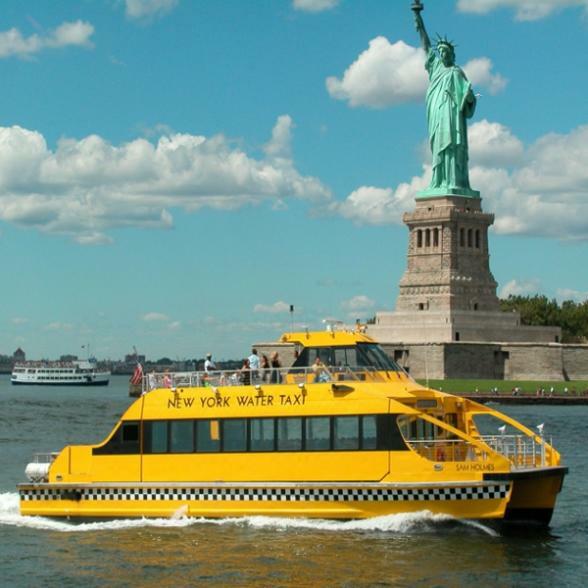 See the best of Uptown NYC with this Hop on Hop Off double decker ticket valid for 24 hours from the time you arrive in New York.